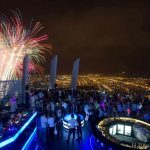 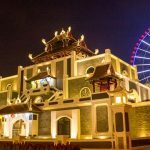 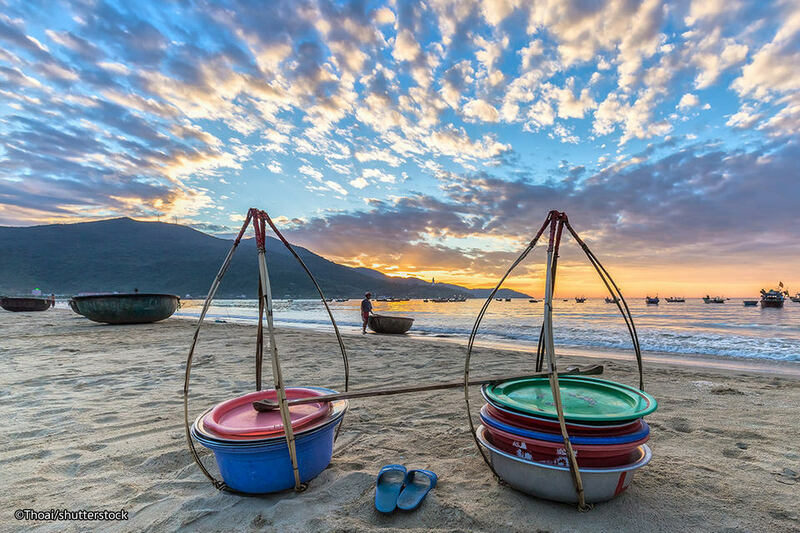 Da Nang beach — Top 8 best beaches in Da Nang, Vietnam - Living + Nomads – Travel tips, Guides, News & Information! 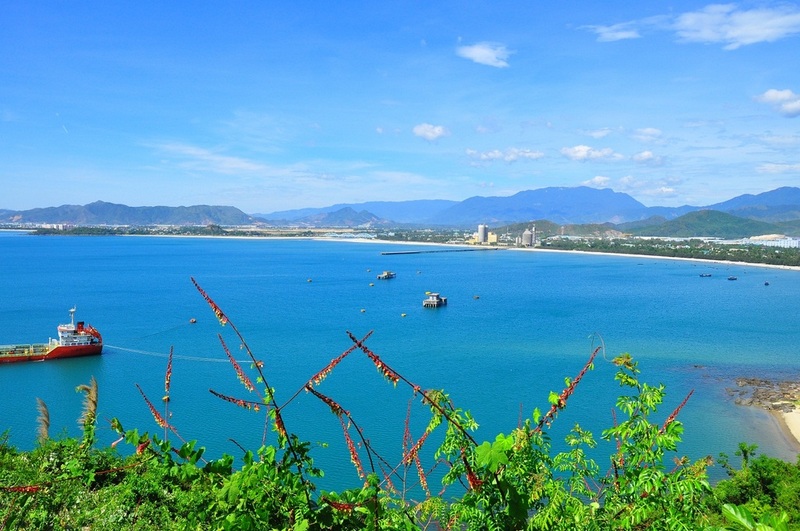 Da Nang’s stunning coastline is over 90km in total length and stretches from the foot of the Hai Van Pass to Non Nuoc (Marble Mountains). 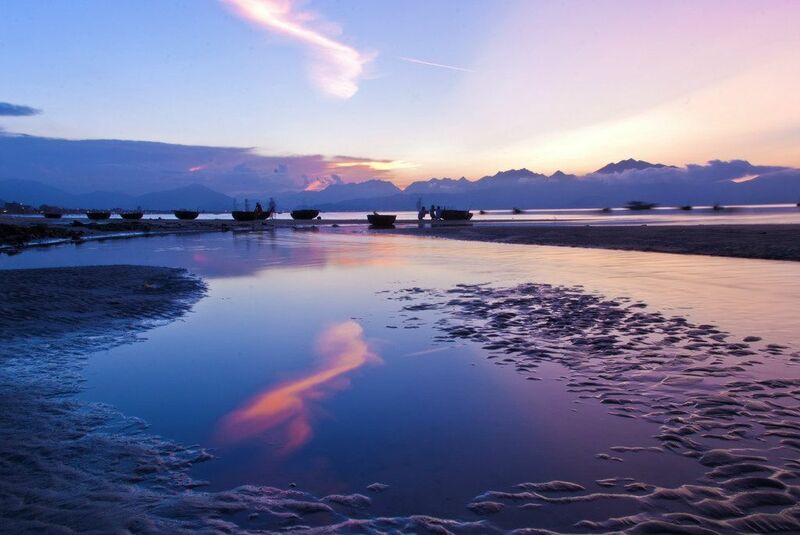 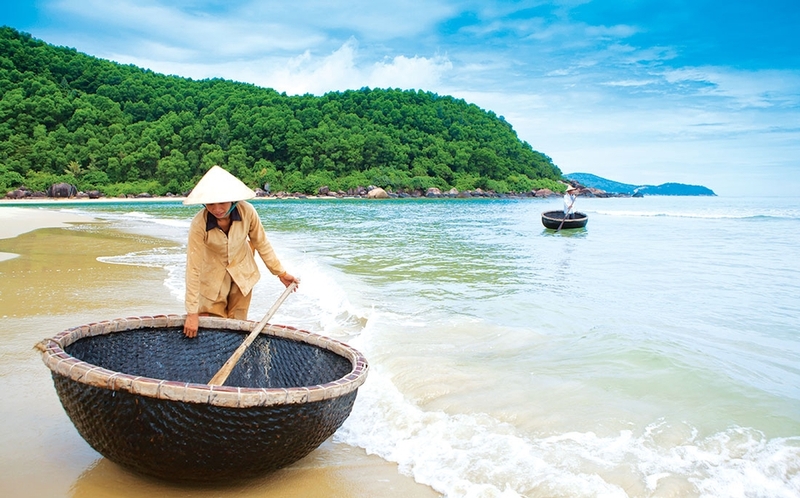 Da Nang boasts numerous pristine beautiful beaches with bleached-white sand and crystal-clear blue water. 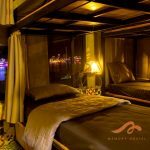 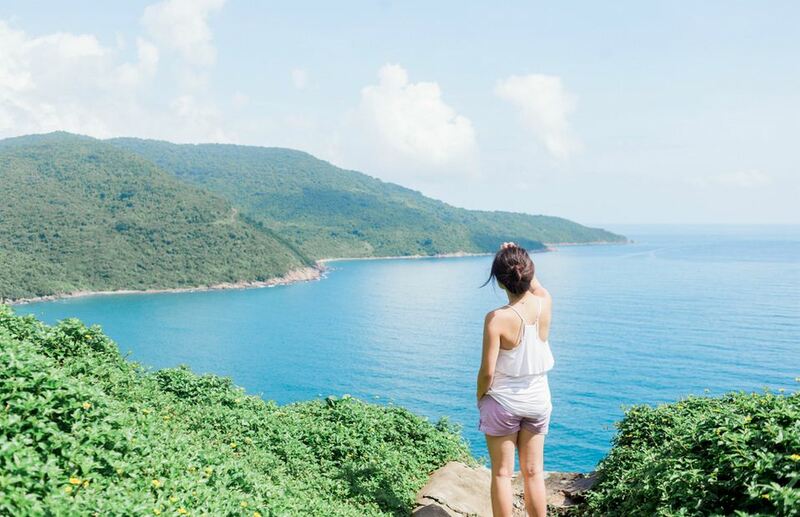 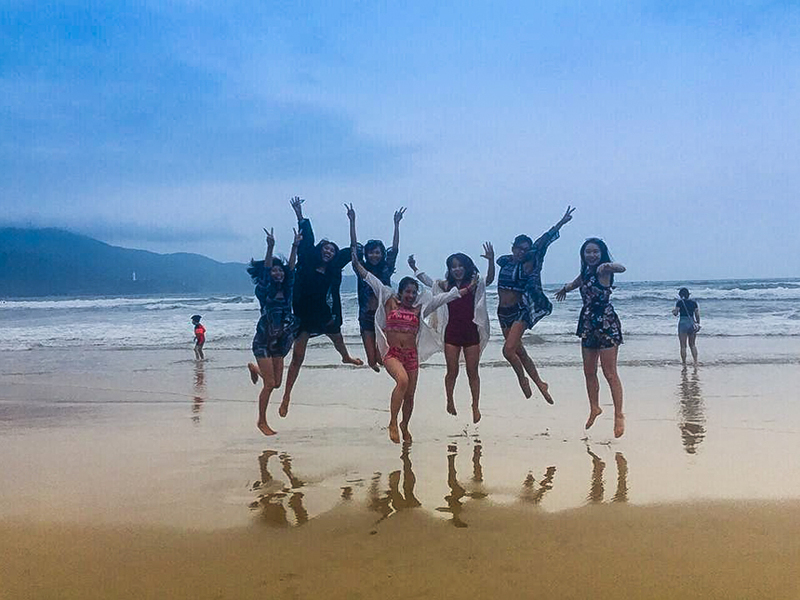 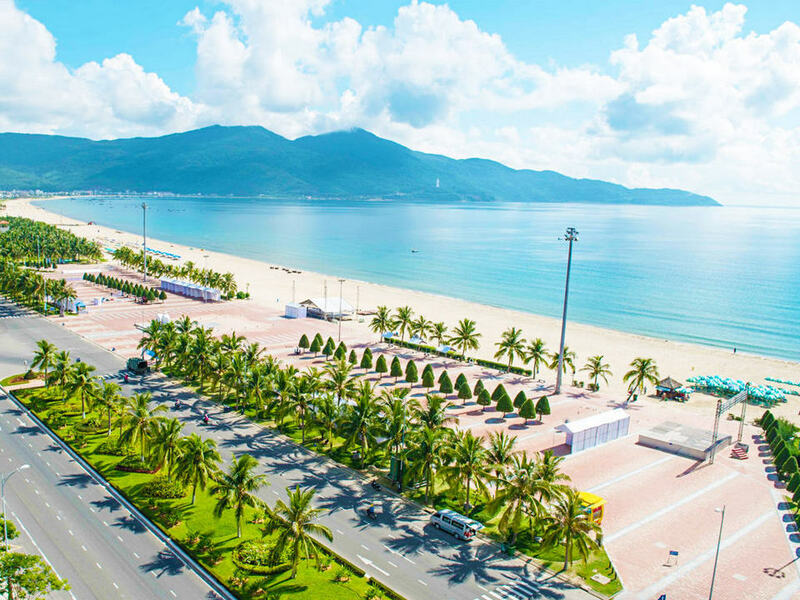 Let’s discover top beaches in Danang — Top 8 best beaches in Da Nang, Vietnam with Living Nomads below. 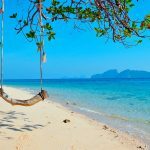 My Khe was listed in the US Forbes Magazine as one of the 6 most beautiful beaches in the world. 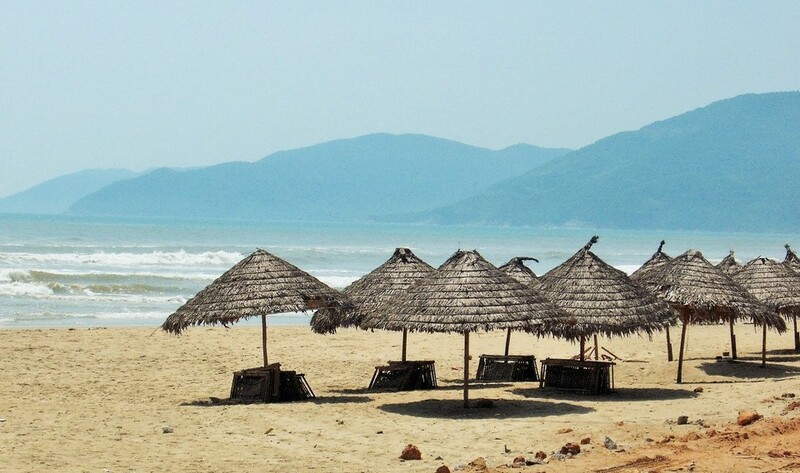 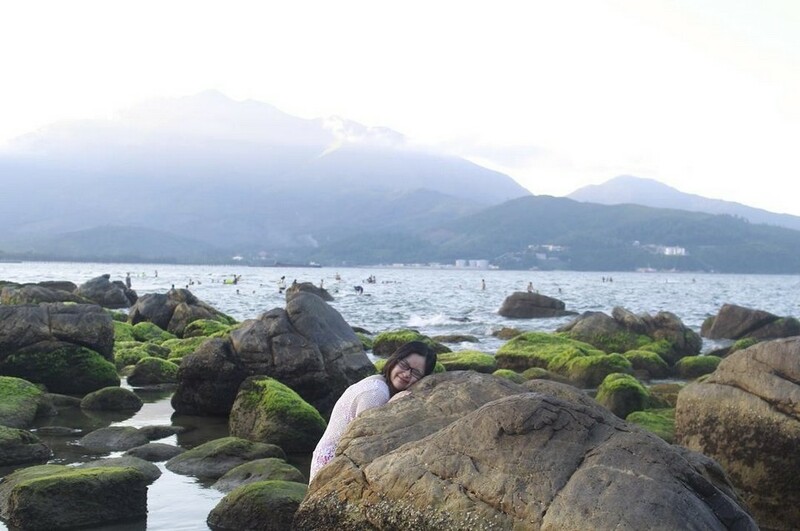 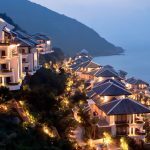 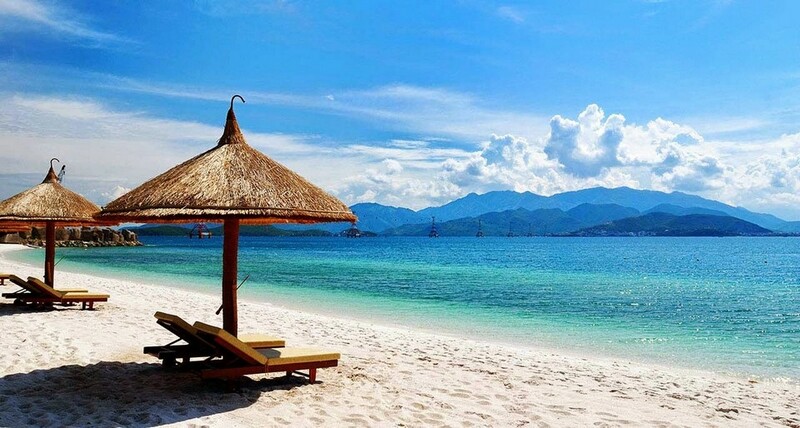 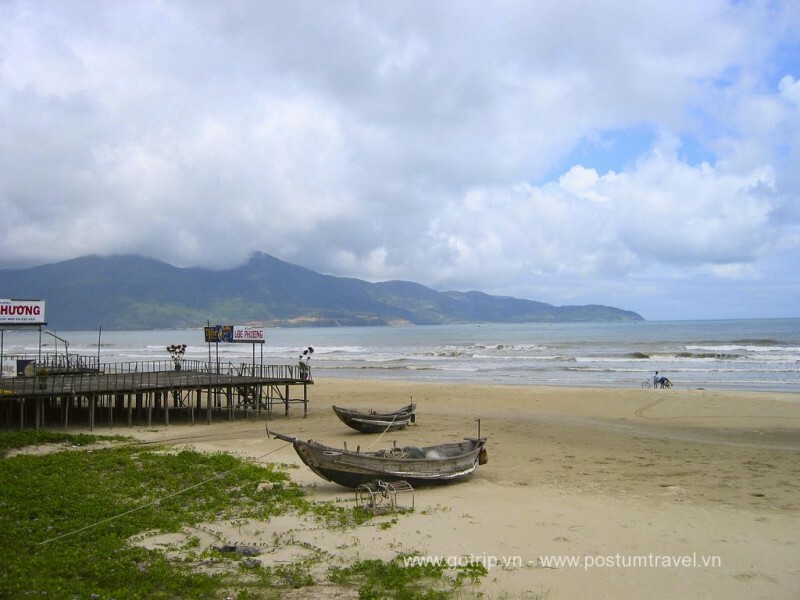 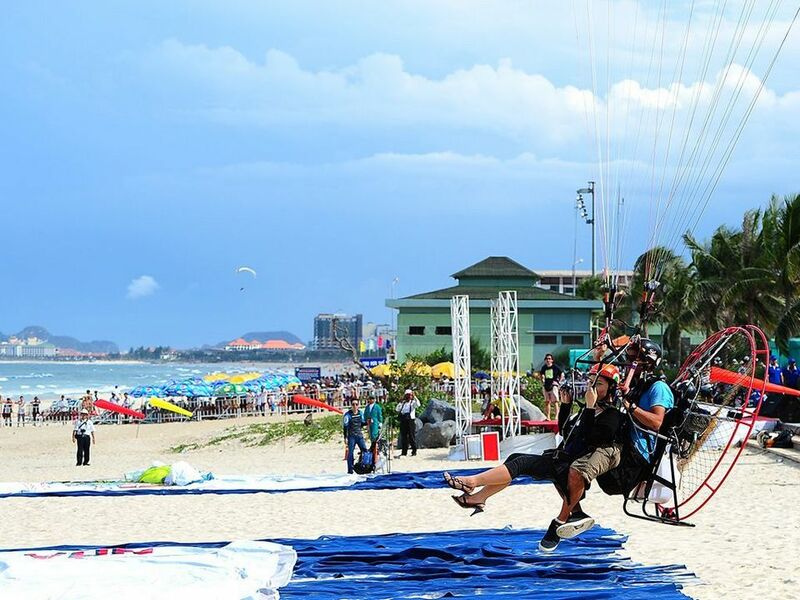 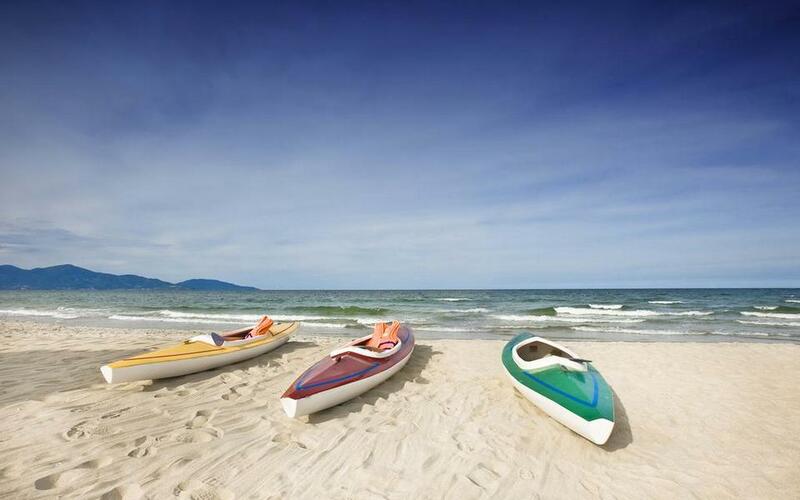 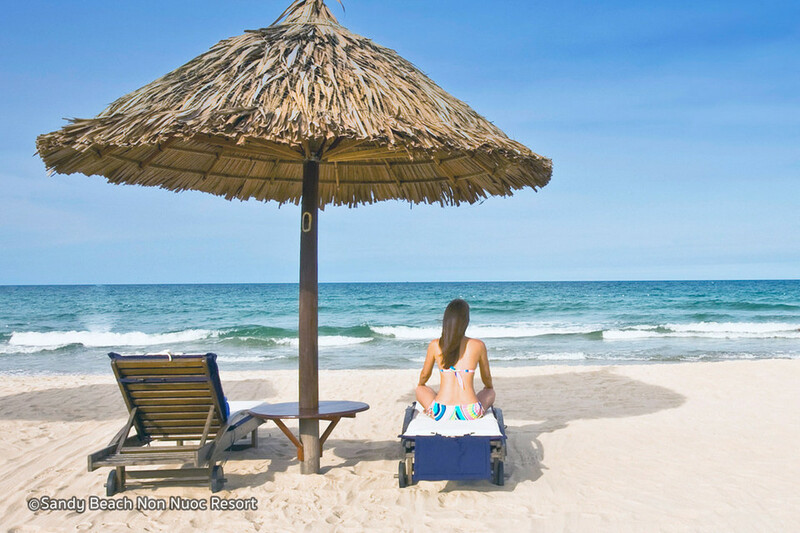 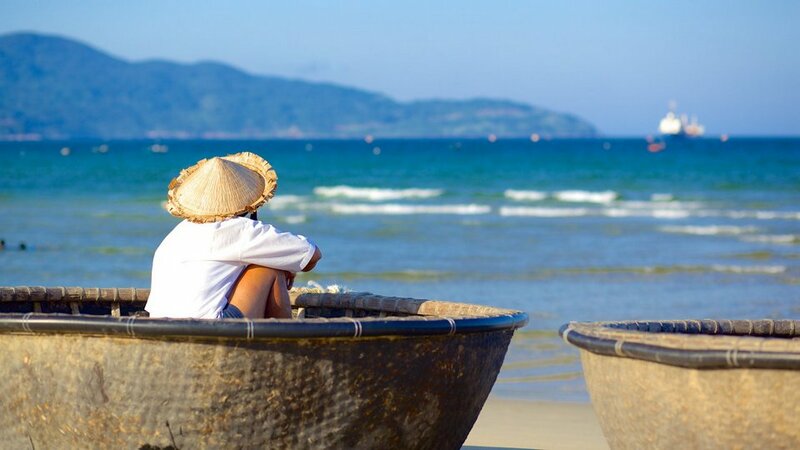 Photo: best beaches in da nang blog. 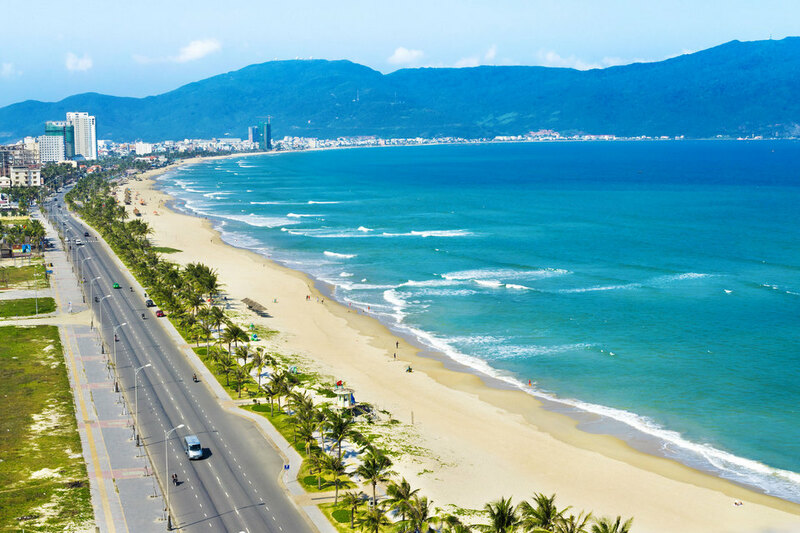 Heading My Khe beach from the center of Danang city, you will go through the bridge of Han river, pass Pham Van Dong street about 1,5 km to the east. 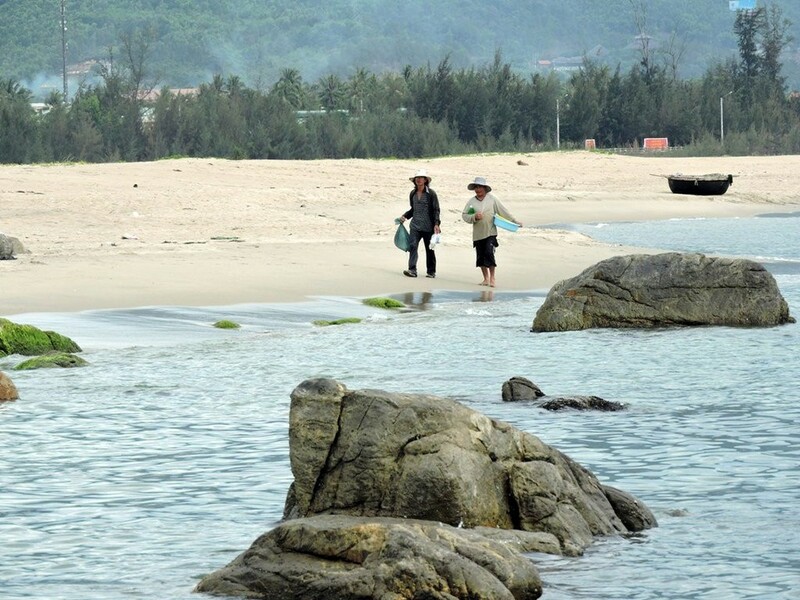 My Khe beach is 900m long and is popular with both locals and visitors. 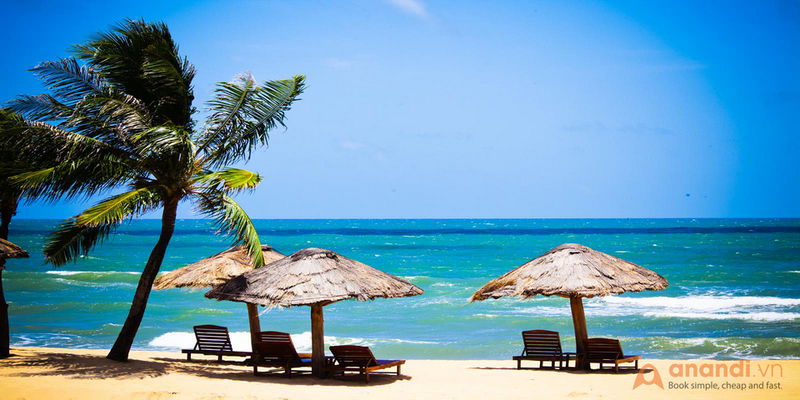 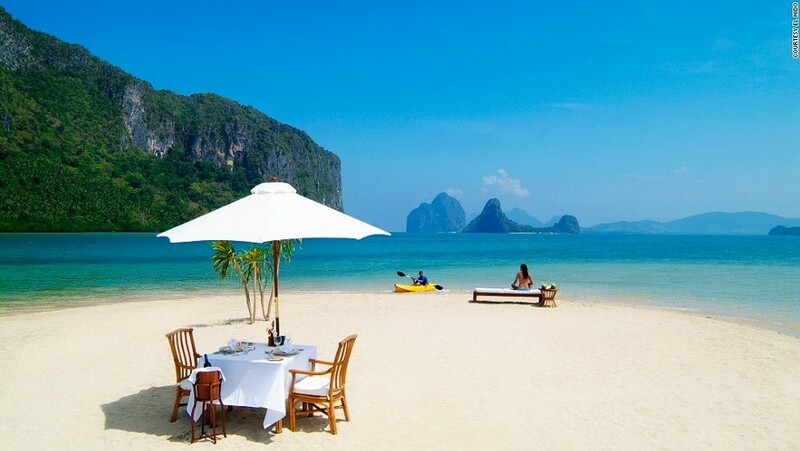 Once listed in the US Forbes Magazine as one of the 6 most beautiful beaches in the world, it is an idyllic beach with bleached-white sand, crystal-clear blue water, gentle waves, and the poetical lines of coconuts. 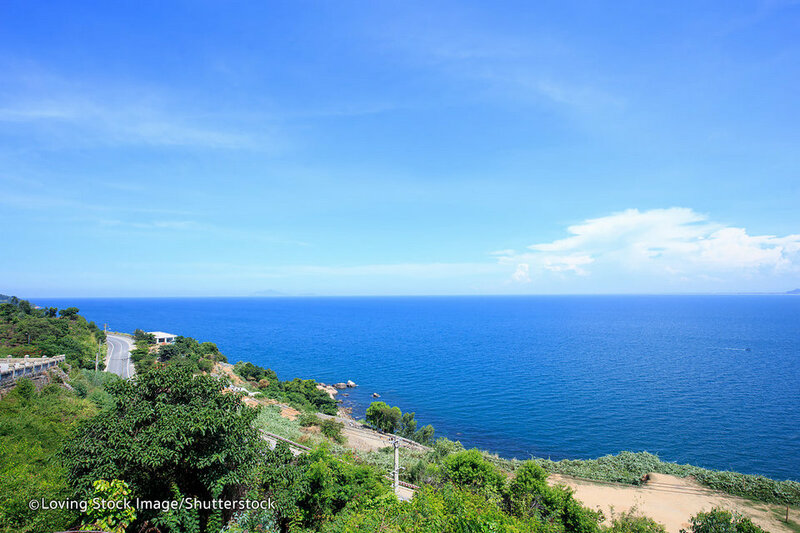 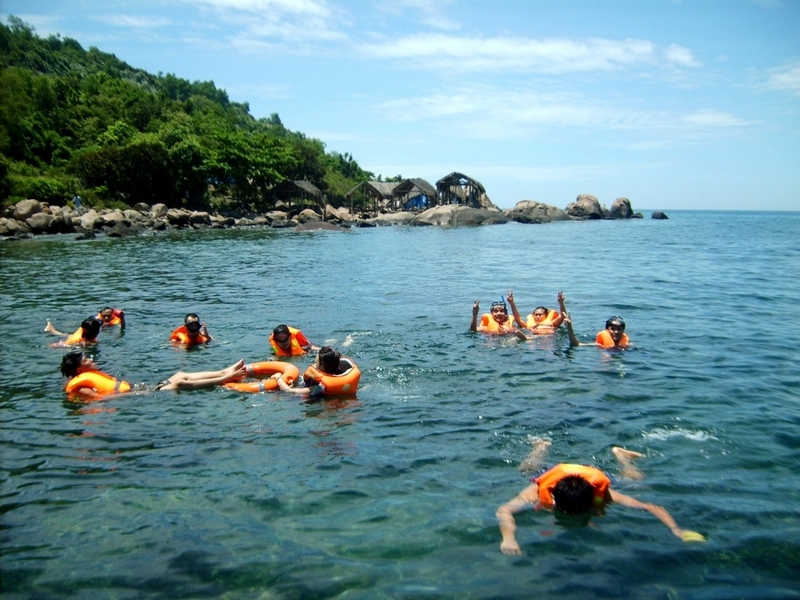 Non Nuoc has a gentle slope, calm waves, and crystal-clear blue water. 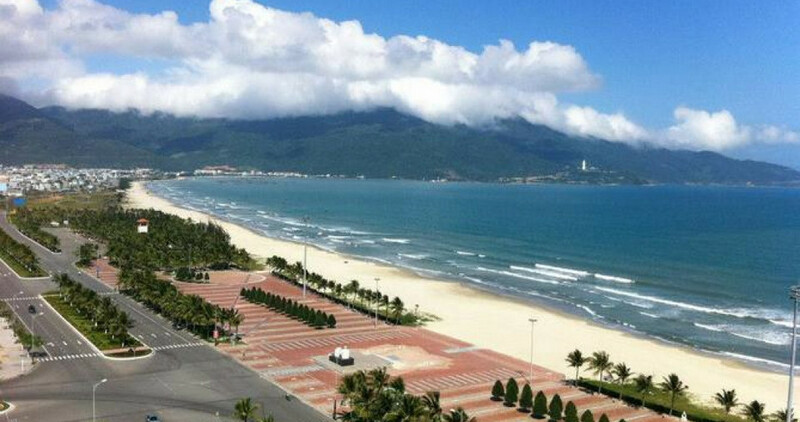 Photo: best beaches in da nang blog. 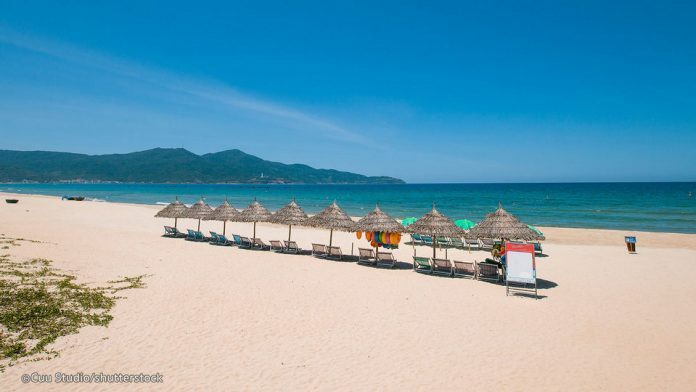 Located at the foot of the Marble Mountains, Non Nuoc beach stretches for 5km in Ngu Hanh Son District’s Hoa Hai Ward. 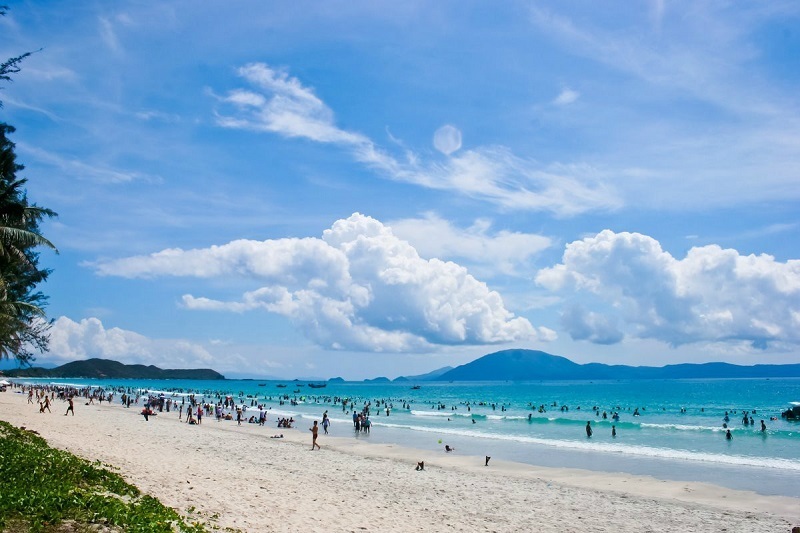 This beach has a gentle slope, calm waves, and crystal-clear blue water all year long. 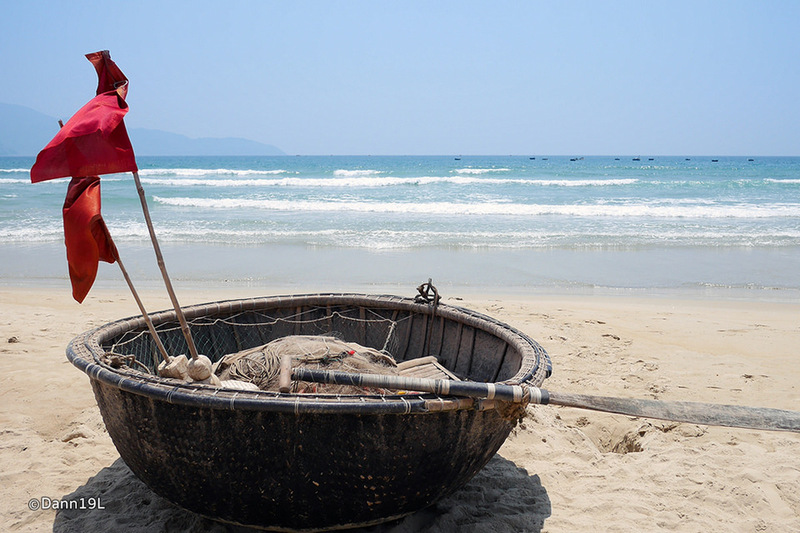 In addition, visitors can find a wonderful selection of locally-caught fresh fish and seafood readily available for them to enjoy. 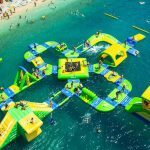 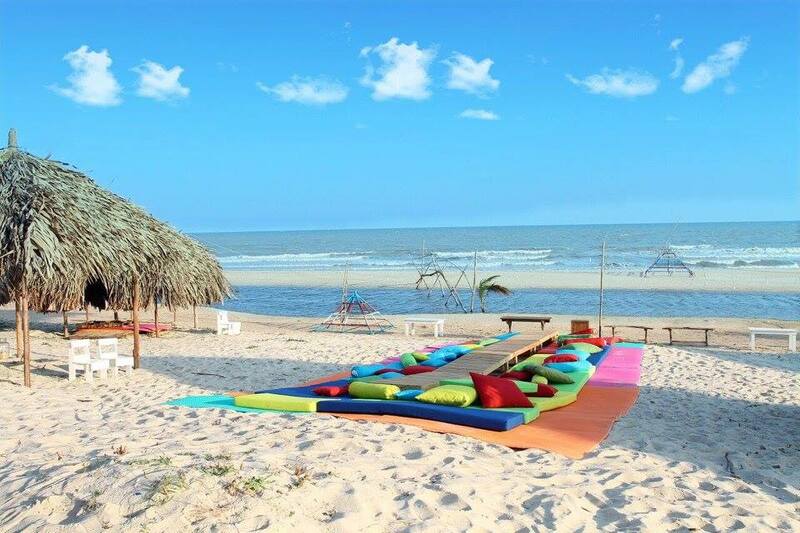 It’s also an ideal place to pitch your tent and enjoy a camping or play some sports such as surfing, windsurfing, volleyball, etc. 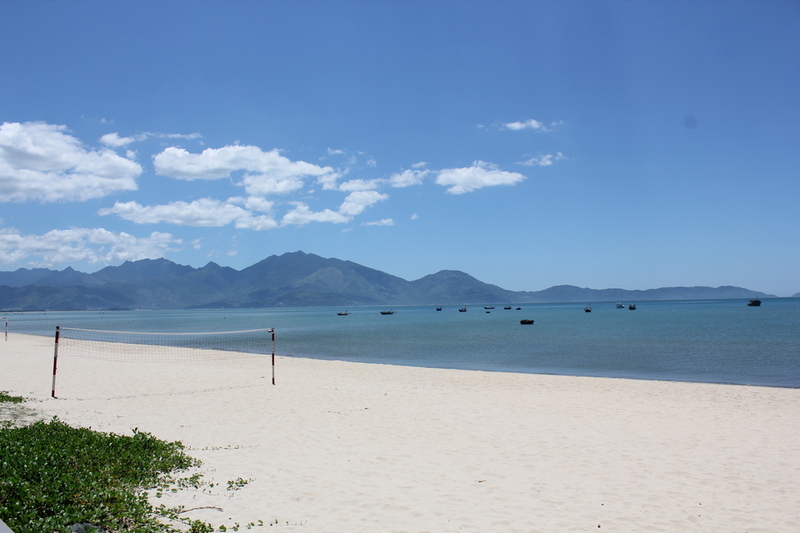 Another popular local beach is Bac My An in Ngu Hanh Son District’s My An Ward, about 7km south-east from the city centre. 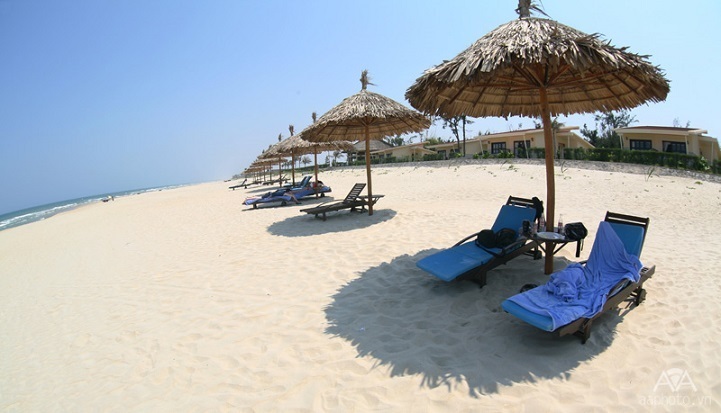 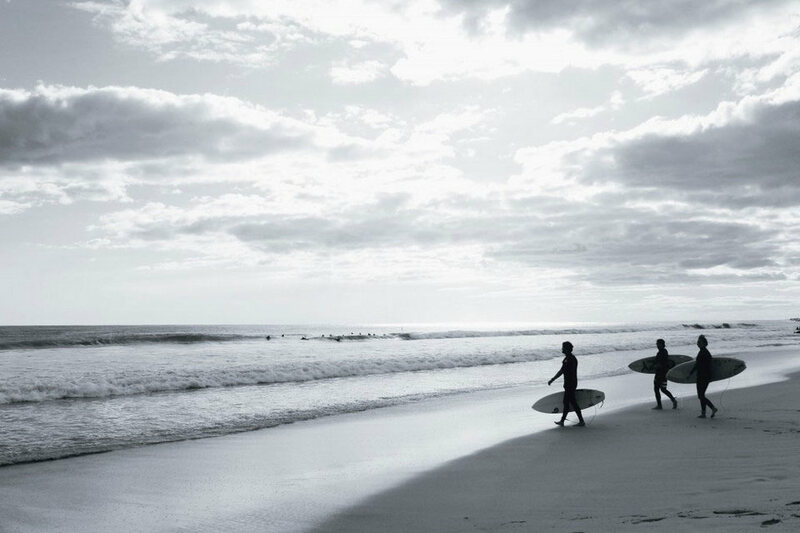 The 4km-long beach boasts white sand, blue and warm water. 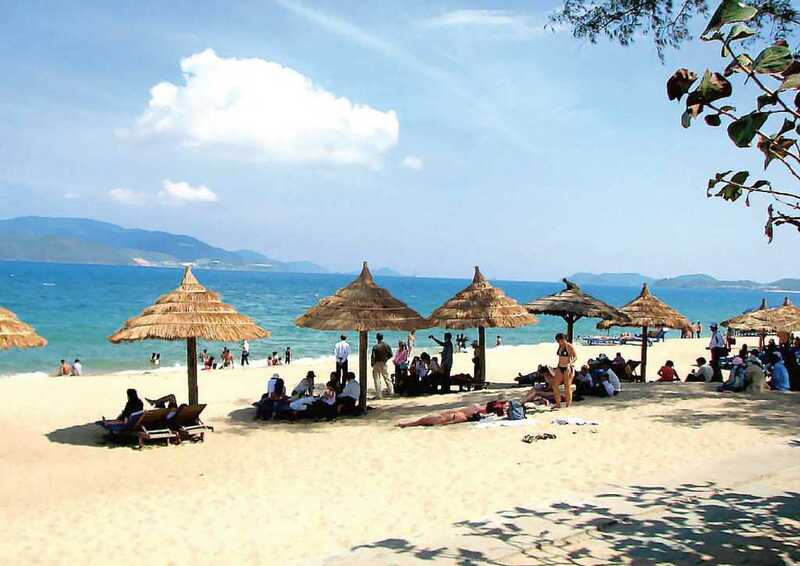 Bac My An Beach with its beauty and good services is truly a terrific place for locals and visitors to unwind and relax. 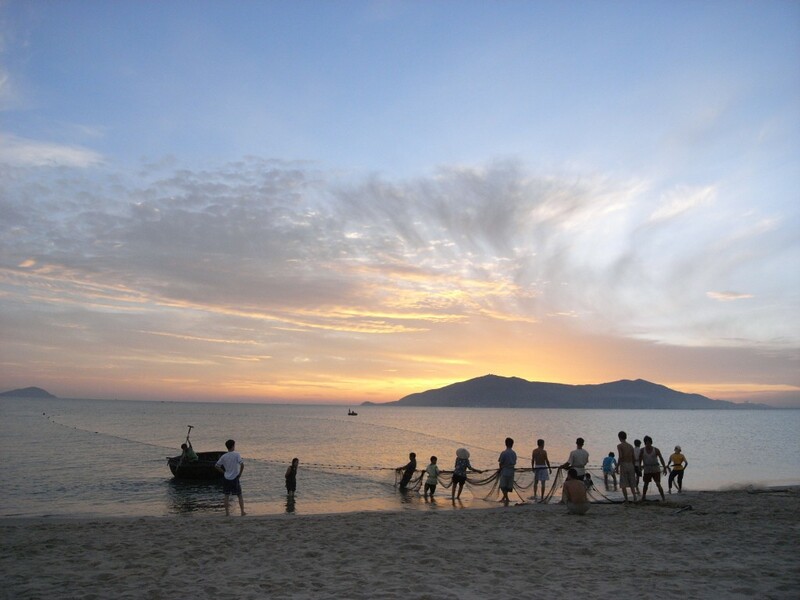 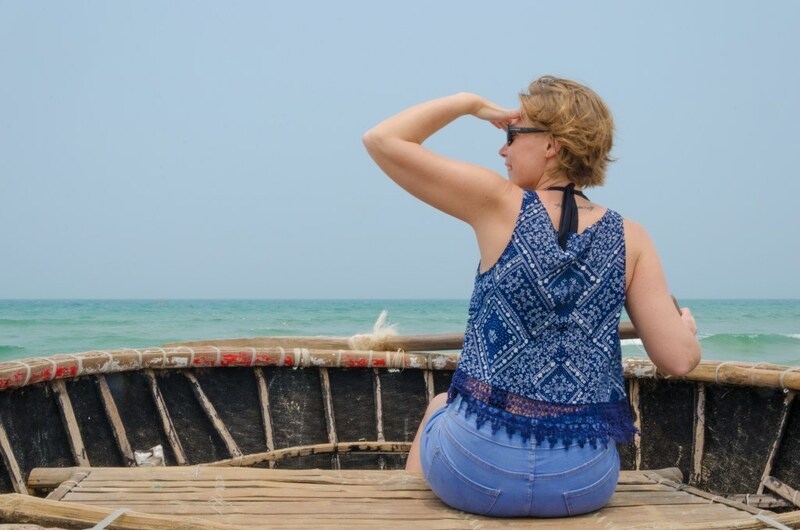 Located about 17 km north-west of the city center, Nam O Beach offers environmental boat rides to places like Hoa Bac and Hoa Bang. 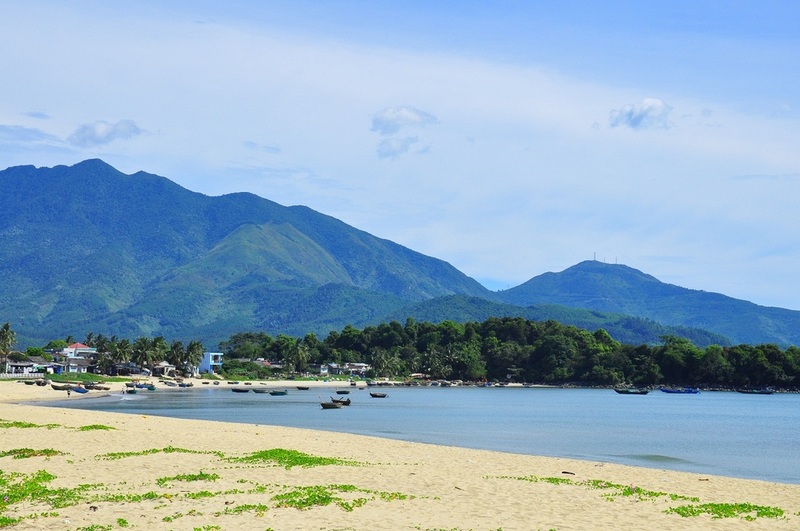 This beach has a moderate slope with clear blue water and white sand stretching along the foot of a mountain. 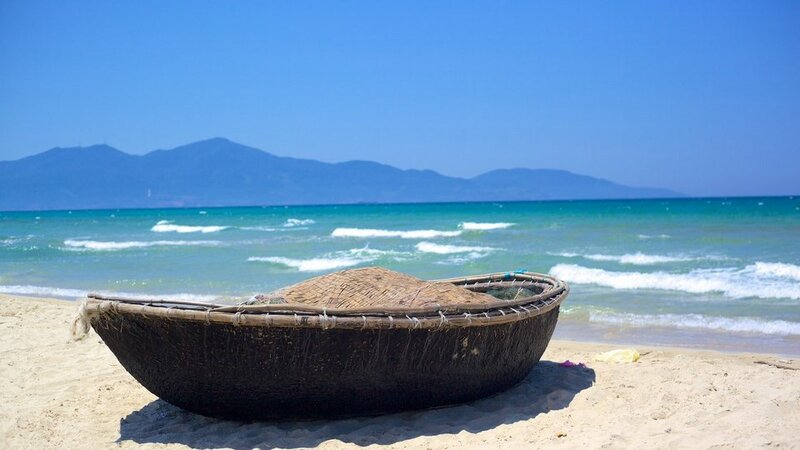 From here, visitors can reach the Son Tra peninsula by road along the mountain or by boat on the west coast, as well as visit a village of the Katu ethnic group in Hoa Vang district’s Hoa Bac Commune. 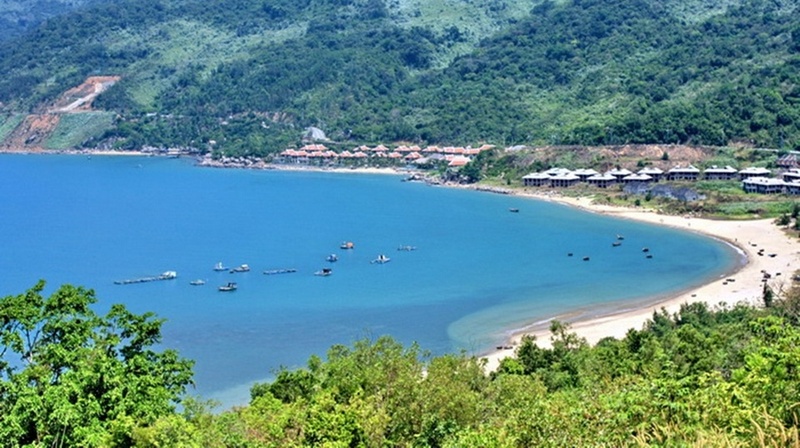 Located in Xuan Thieu ecotourism – Lien Chieu district , Xuan Thieu is a beach for those who are in love with natural beauty. 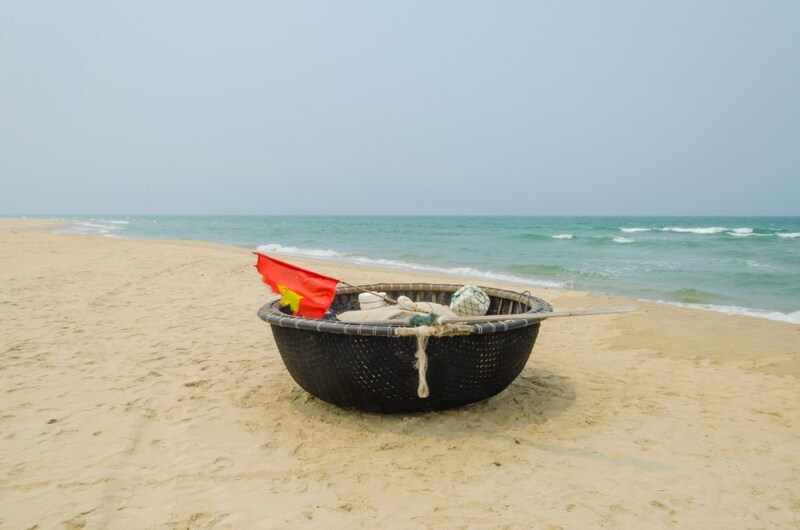 Xuan Thieu Beach, also known as a “Red Beach”, is famous for its clean and beautiful white sand, as well as the clear blue sea. 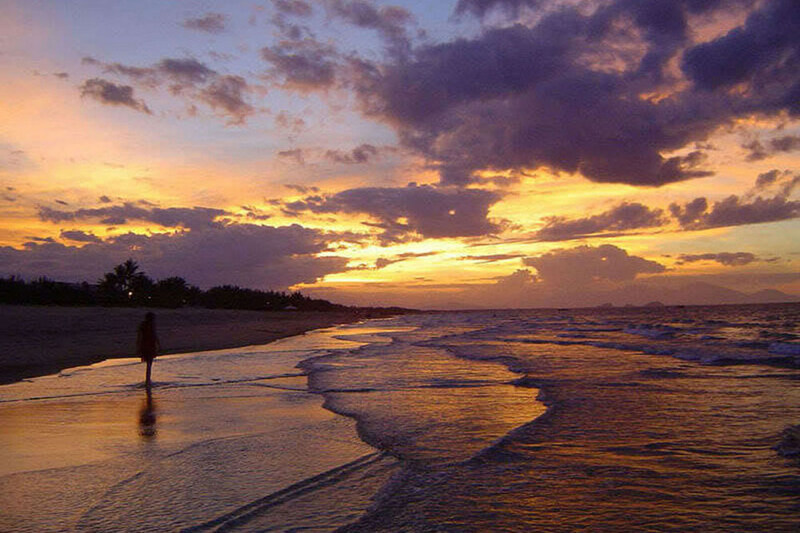 Visiting this beach at sunrise or sunset, you will understand the meaning of the beach. 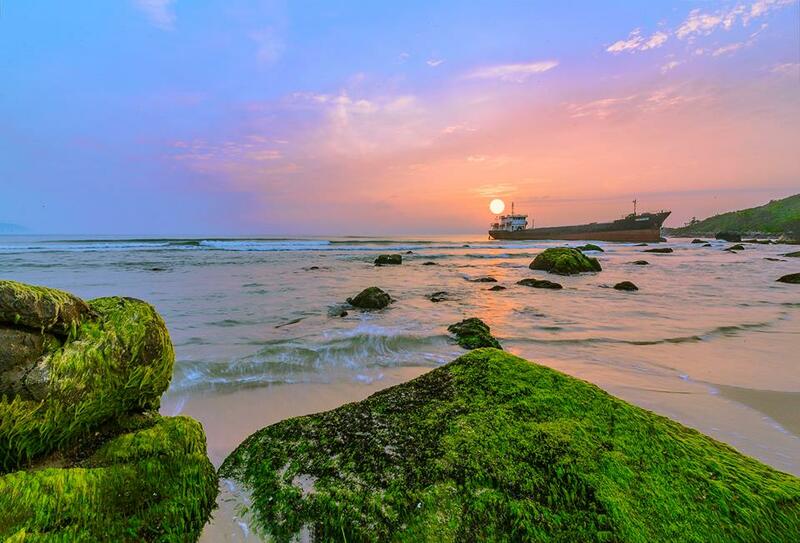 Sunlight reflecting from the water gives the entire beach a red colour. 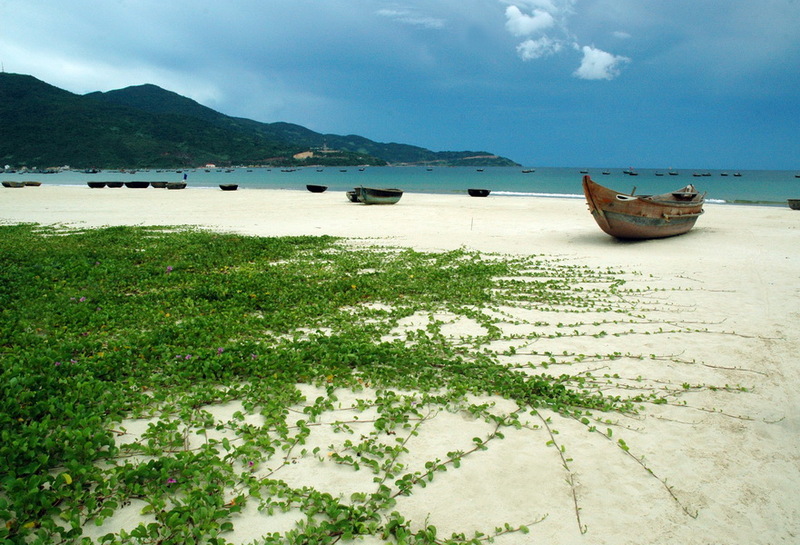 Thanh Binh Beach is very gentle with a lyrical beauty. 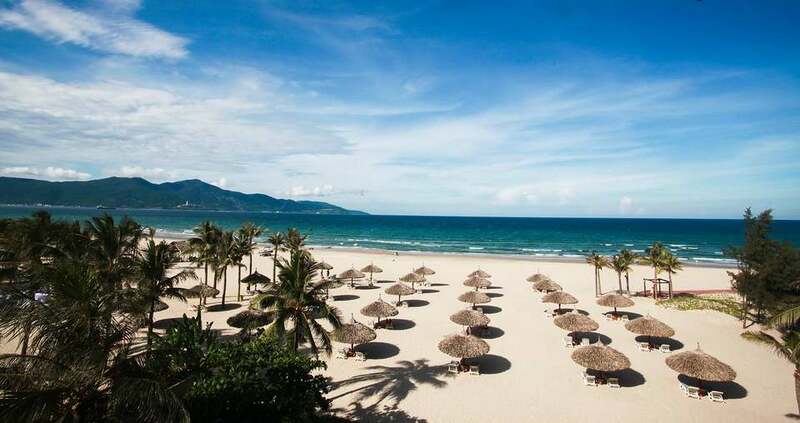 Photo: best beaches in da nang blog. 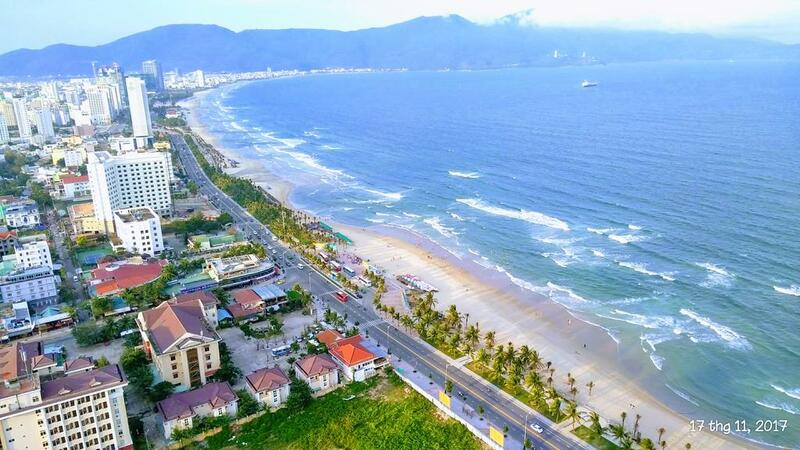 Unlike other beaches in Da Nang, Thanh Binh beach is located nearer the inner-city, at the end of Ong Bich Khiem street. 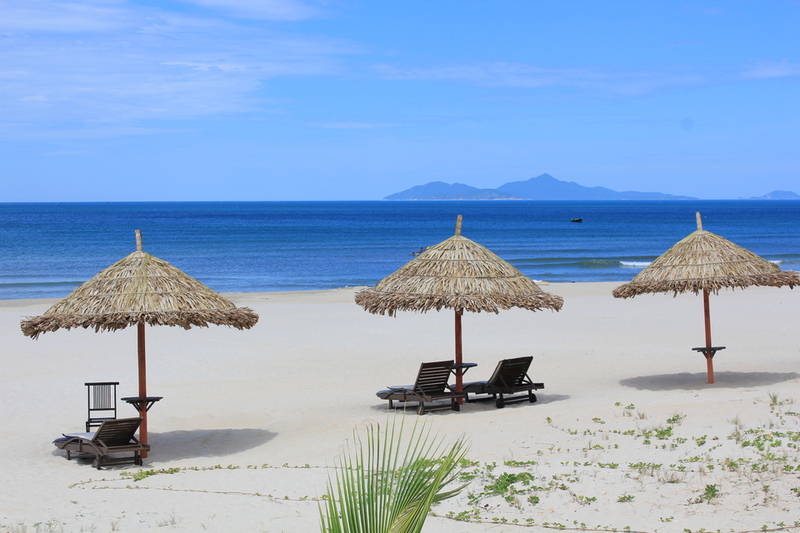 Thanh Binh Beach is very gentle with a lyrical beauty. 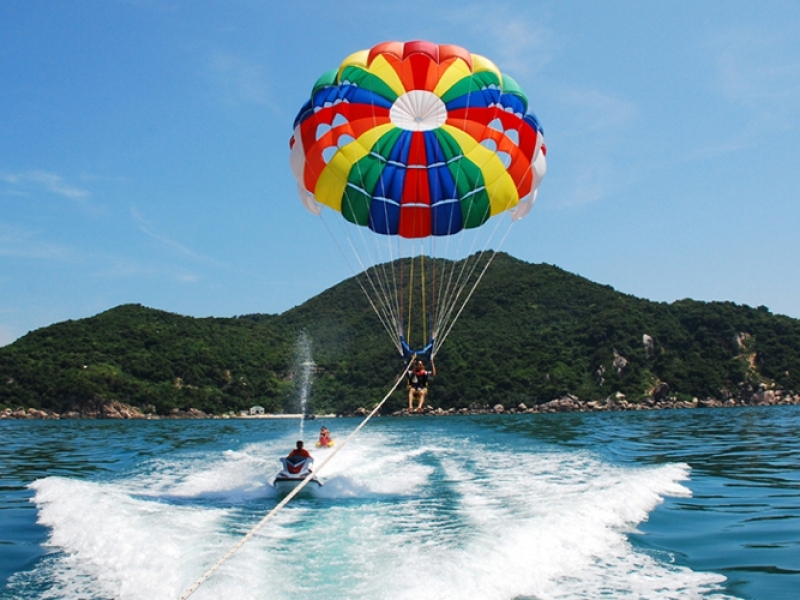 Water sports are available here, including windsurfing, yachting, and boating. 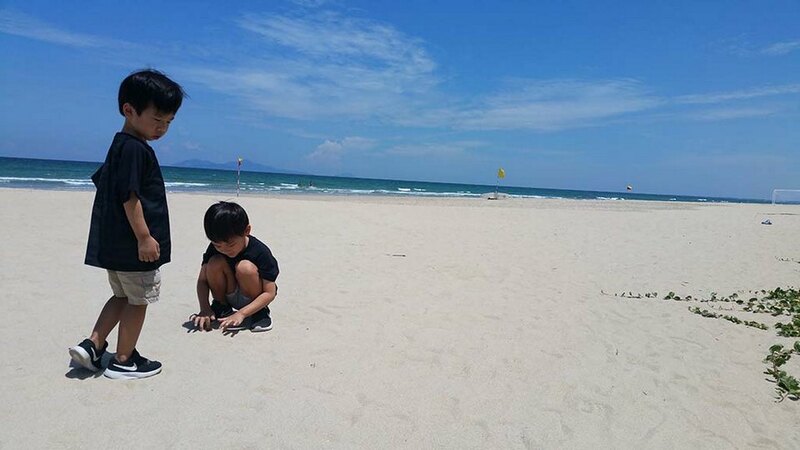 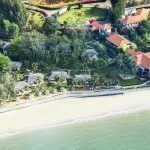 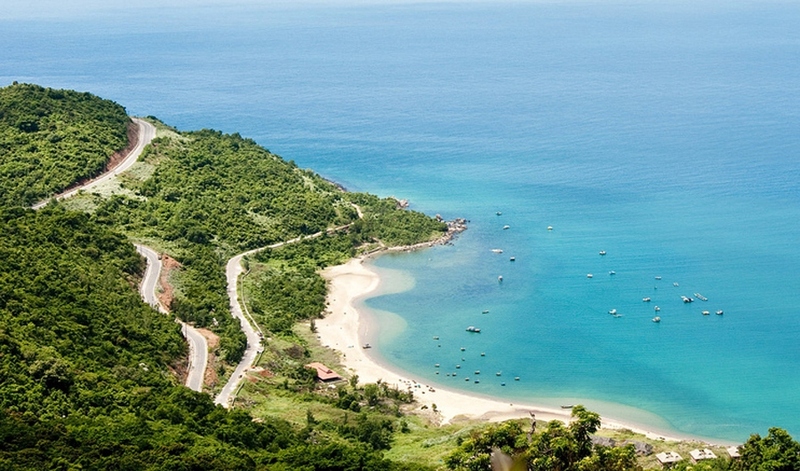 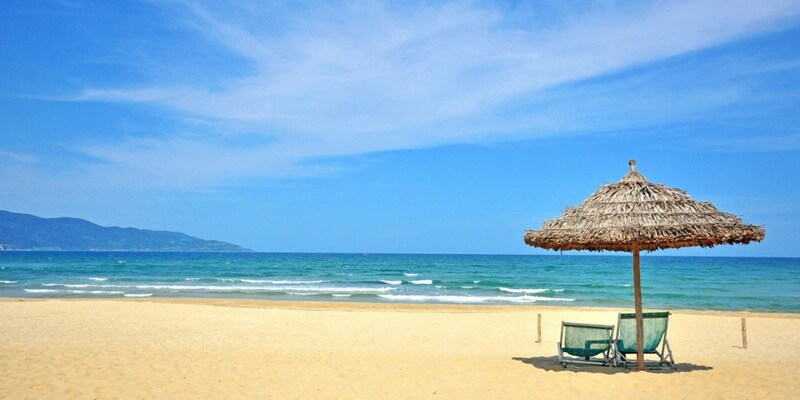 Son Tra Peninsula, situated about 8 km from the city center, has many stunning beaches such as Nam beach, Rang beach, But beach, Tien Sa beach, Con beach, Bac beach, etc. 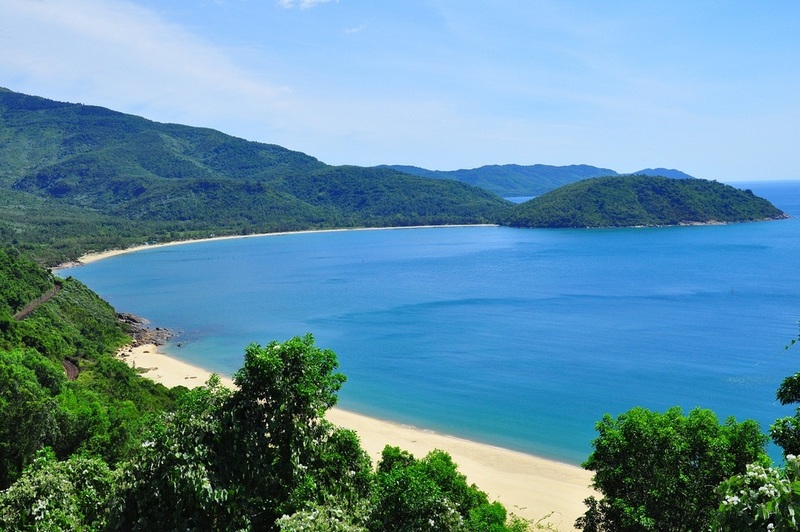 These beaches all share an incredible beauty with considerable slope and see-through blue water. 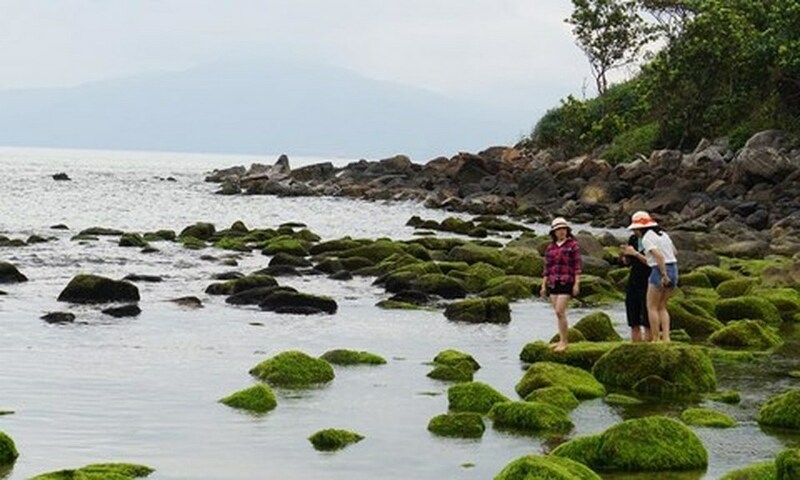 Apart from relaxing and bathing on these beaches, visitors have the opportunity to discover the primeval forest with its rich flora and fauna on the peninsula, to dive and explore the coral reefs, or go fishing. 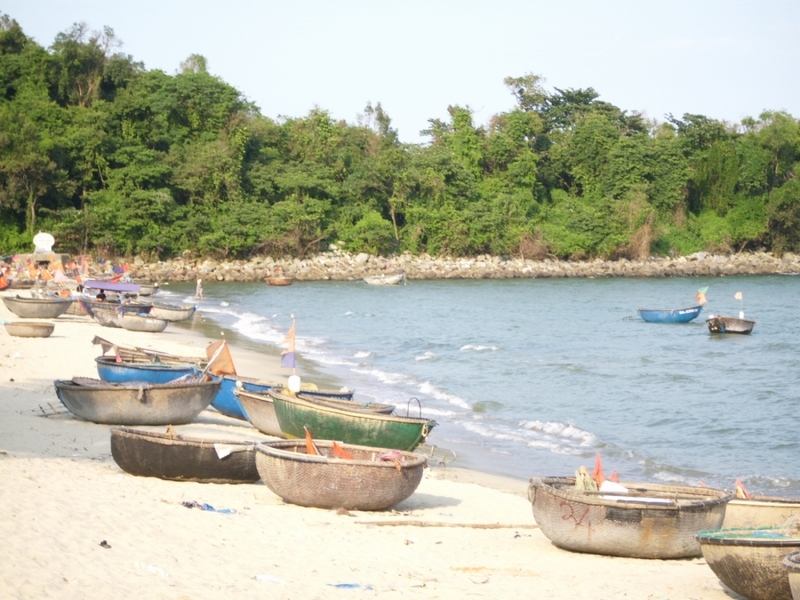 Beach in Pham Van Dong park is a wide beach, but not very deep so it is very safe and convenient for visitors. 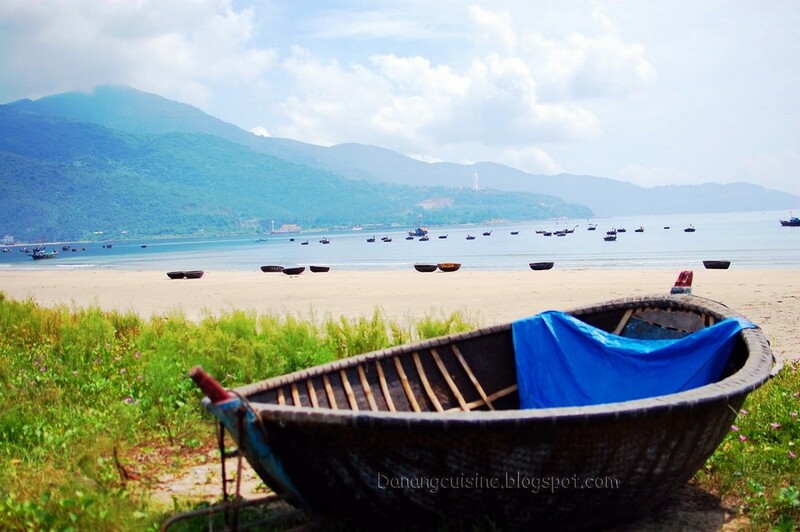 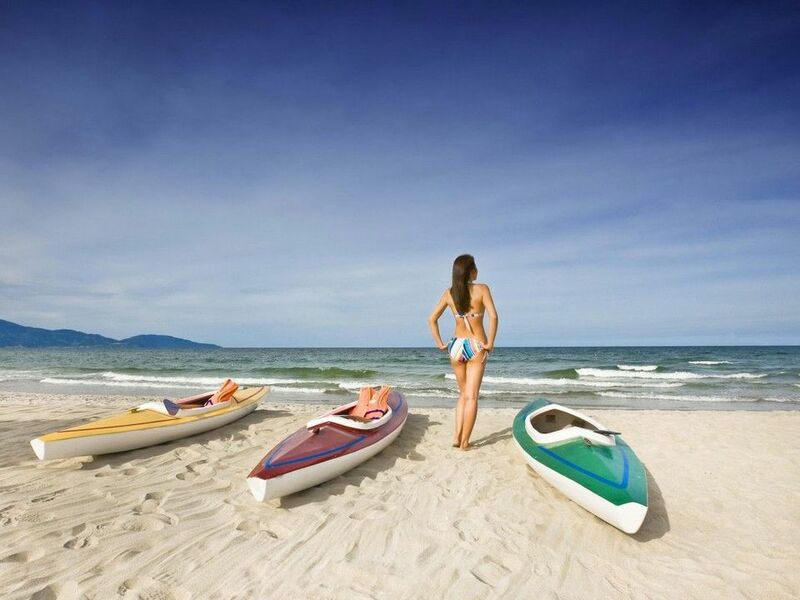 Photo: best beaches in da nang blog. 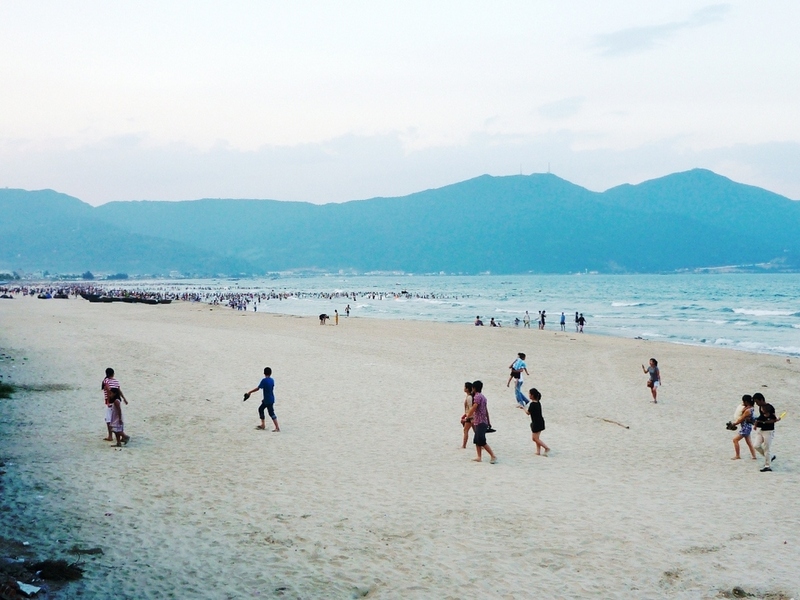 At Pham Van Dong park, the public beach was built at a cost of 12 billion. 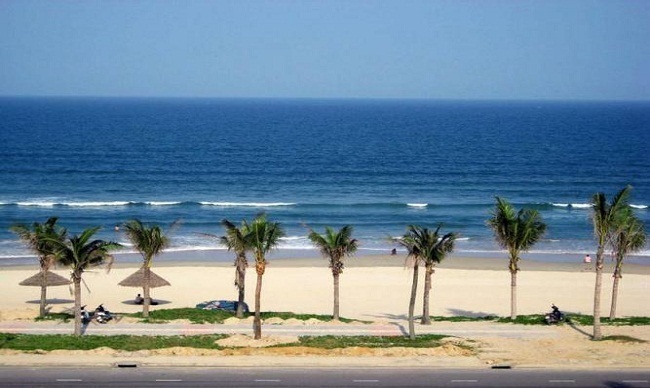 This is considered a wide beach, but not very deep so it is very safe and convenient for visitors. 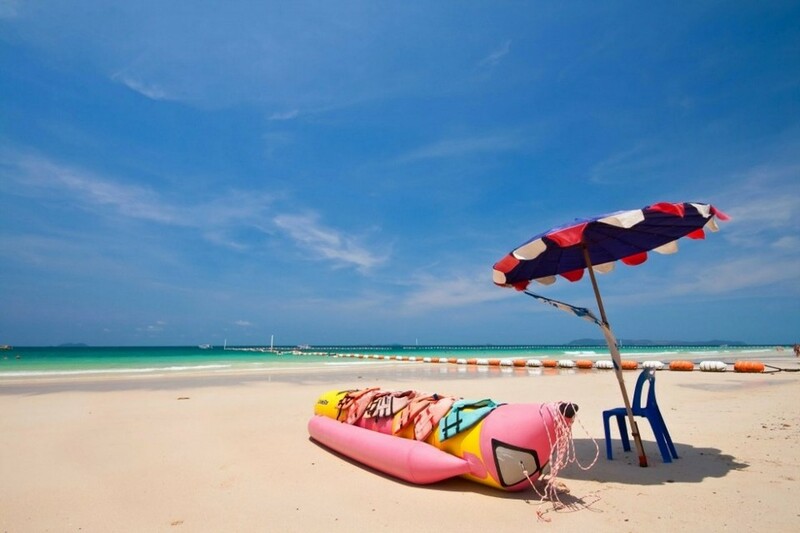 White-sand stretching beach attracts many young people, especially foreign tourists interested in sunbathing. 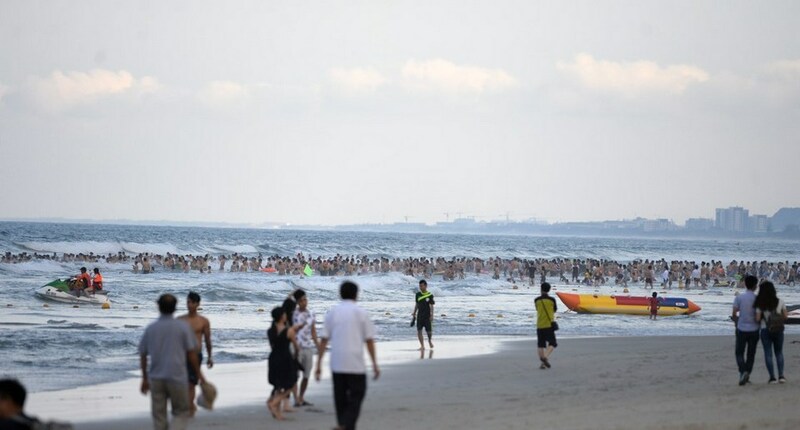 The beach usually attracts from 3,500 to 4,000 visitors every day. 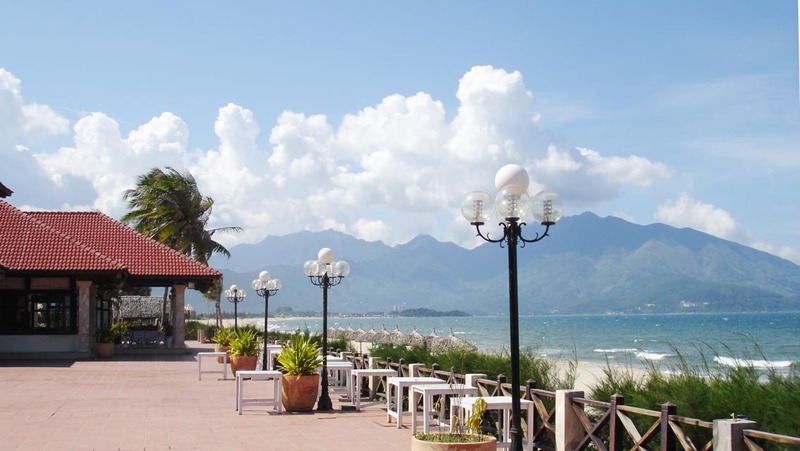 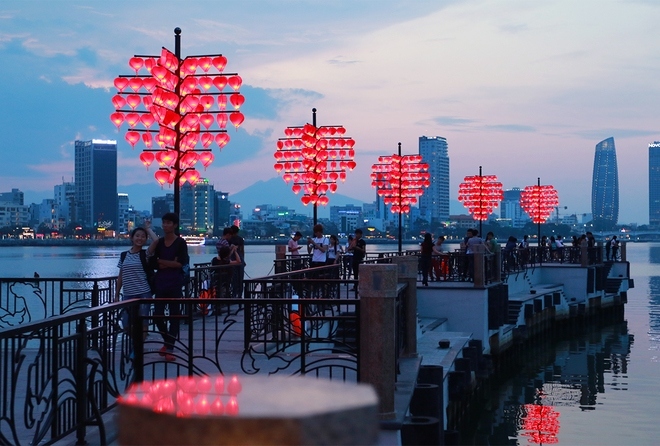 You also see more Danang travel guide at here.